I have been hearing compliments about IBOC, INDEPENDENT BAPTIST ONLINE COLLEGE, our online college. I believe you have the best Bible preachers, servants of God, who have been teaching the KING JAMES BIBLE and proving God’s promises for 30 to 60 years. If I had a son, a preacher in training, in a college to become one of God’s servants I would send him to IBOC where he would be taught the KJB for four years. Also, I would want him to be taught by those on the faculty who believe the doctrine of the Holy Spirit. What happened to D.L. Moody on Wall Street, Jack Hyles on his daddies grave, Dr. John R. Rice, and others is still for today. What Dr. Rice and Dr. Hyles taught me on how to have the power of the Holy Spirit on their preaching I believe if properly taught others can experience. If the teachers or professors have not experienced the power of God on their ministries they cannot properly teach the doctrine of the Holy Spirit. 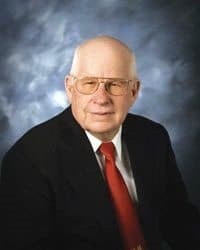 When I was challenged by Dr. Jack Hyles and Dr. John R. Rice, and Dr. Torrey to be used of God in building businesses, churches, and colleges, I began begging God for his power. Rising early in the morning and studying His word. I began walking through the woods at night on the golf course near my home begging God for His power on my life. Approximately five years later, December 2, 1966, I had been studying and begging God for about two hours. At about 6:20 am in my office I told God I was surrendering 100% of me to God. I offered to quit the business world and even be willing to go to Africa if He wanted. I told God anywhere He wanted me to go I was willing to go. I totaling surrendered my life to Him. I know as sure as I know my name God baptized me and filled me with His Holy Spirit. (Acts1:5, 8; Ephesians 5:18) The same thing happened to me that qualified the deacons in Acts chapter 6 to be deacons. Now, I would like to share what the Holy Spirit did since 1966 through my life. He has led me to give 40 million dollars to God’s work. I have been used to finance 1,700 churches, 10 Bible colleges, and I have been blessed with over 20 million people being saved as reported to me. Dr. Gray, you can see the importance of why the doctrine of the Holy Spirit MUST be taught to my son and to our people. Dr. Gray supposing Dr. Hyles and Dr. Rice had NOT challenged me to get the power of God on this uneducated coal miner’s life how many people would be in Hell. Dr. Gray in the last 30 days in October I have been privileged to share the Gospel with 30 different people with 29 to those dear people bowing their head to be saved. In fact Monday morning I won a hotel worker to Christ in North Carolina and then at the Atlanta airport I was able to lead another dear soul to Christ. At 85 years of age I am glad I serve a God in the present tense and not only in the past tense. Dr. Gray a lot of preachers preach about what has happened, but I am preaching what has happened in the present tense. I am not bragging I am praising God. At 85 I have recently preached 25 times in 6 different states. I was saved in 1959 and was exposed to the KING JAMES BIBLE and the power of the Holy Spirit in 1960. In 1966 after receiving the power of the Holy Spirit I lead a millionaire friend to Christ who had divorced his wife and became a drunkard. He died in two weeks. After he trusted Christ he called his mama and told her not to worry. He told her he had just got saved. He even called his ex-wife and told her he was saved. I cannot begin to tell you how being introduced to the preserved inspiration of the KING JAMES BIBLE and the power of the Holy Spirit has impacted not just my life, but the life of millions. I think it would be wise for everyone reading this would purchase Dr. John Rice’s book on THE POWER OF PENTECOST. Also, I suggest every one seriously consider putting you and yours under the influence of the faculty of IBOC. Go to ibaptistcollege.org to begin your experience of serving the LORD. If I had a son I would make sure he studied from those who not just use the KJB, but believe it is preserved inspiration and not just accept the Holy Spirit’s dwelling, but beg God for the power of the Holy Spirit.